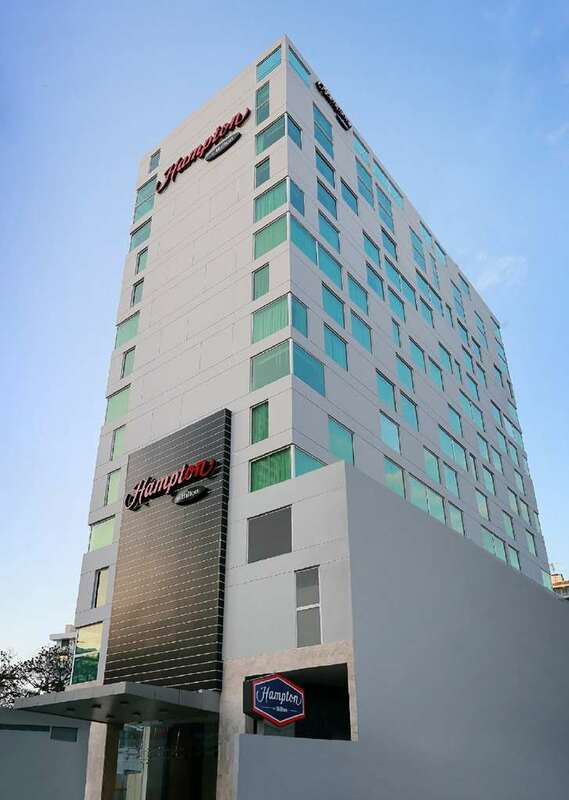 Enjoying a convenient downtown location near Panama City*s financial district and other major business and commercial areas Hampton by Hilton Panama offers easy access to restaurants shops and Panama attractions. The metro station is just minutes away and Tocumen International Airport is only 14 miles from our modern Panama City hotel. Marvel at the magnificent Panama Canal. considered to be one of the world*s greatest feats of engineering and visit the Miraflores Locks Museum. Take in wonderful views of the city from the Amador Causeway. home to the Biodiversity Museum Panama Bridge of Life. Unwind in a spacious guest room at this hotel in Panama City equipped with contemporary amenities including an ergonomic desk free WiFi and a clean and fresh Hampton bed. Start your day with a variety of hot and cold favorites at the Hampton*s free hot breakfast buffet and enjoy free tea and coffee in the welcoming lobby 24-hours a day. Check emails in the free 24-hour business center and hold an event with two conference rooms. We also offer a private dining area - the perfect setting for a special breakfast corporate lunch or dinner. Make the most of your leisure time at this hotel in downtown Panama City. Swim in the inviting rooftop pool or work out with the latest Precor equipment in the free fitness center. Friendly service clean rooms comfortable surroundings every time. If you*re not satisfied we don*t expect you to pay. That*s our commitment and your guarantee. That*s 100 Hampton.